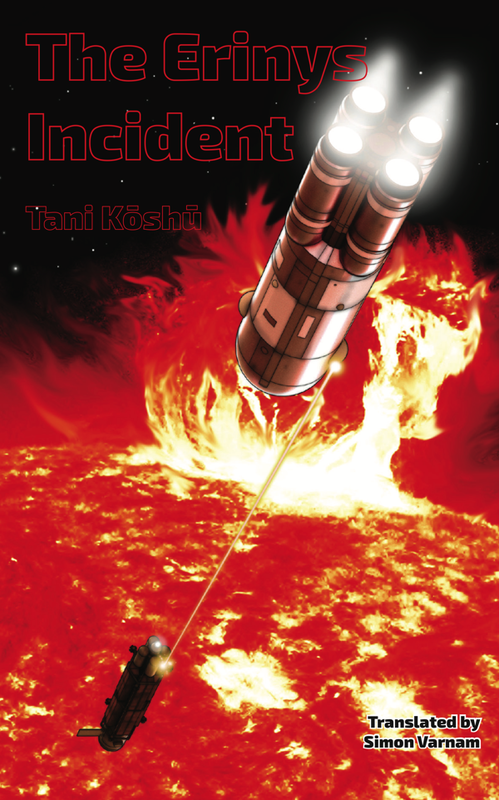 When it comes to gritty, realistic Space Opera, Tani Kōshū's name is always high on the list. With an extensive future history stretching from the early 21st century (and already partially overwritten by the pace of history!) into the far future, he writes of people and spaceships with quirks and "issues," facing life-and-death problems with creativity and dogged determination. Tani's first story in English, "Q-Cruiser Basilisk," was published to acclaim in Speculative Japan Volume 2, and Erinys reveals another part of his saga of the development of starfaring humanity. The author is currently revising his works to take recent astronomical discoveries (and technological developments) into account, and continuing to write new adventures set in the same universe. Tani Kōshū graduated in civil engineering and worked in the field for many years, but later joined JICA, volunteering his services to construction in Nepal. His first SF sale was in 1979. In addition to hard SF, mostly in his evolving future history, he also pens thrillers, often based on his mountaineering experiences in the Himalayas and elsewhere. He won the 15th Nitta Jirō Literary Prize in 1996 for Shirakimine no otoko (Man of the Snowcapped Peaks). Simon Varnam was raised in a large family in the south of England on a diet of music, science fiction and walks in the country. He moved to Japan shortly after he finished college at Bangor, North Wales, where besides reading Physical Oceanography and Math he spent much effort on mountaineering and horn-playing. Having failed to become competent in French despite five years of study at secondary school, he was surprised to find that, thanks to complete immersion in the far north of the Tōhoku region, he picked up Japanese with relatively little effort. Twenty years later, he passed JLPT level 1 at first try and discovered the internet which led him to Japanese conservation organizations who needed English versions of their documents. Since then he has translated (presentations, documents, articles, video subtitles and website pages) in a variety of fields; biodiversity and conservation, nuclear engineering, Japanese culture and an old love, science fiction. Simon now lives in the countryside at the foot of Mt Fuji with a Japanese wife, daughter and cat, and a garden full of wildlife.